We get a steady supply of first-grade hair-on horse hides from Peru or Hungary. The hides are mostly solid colors (brown or black). They usually do not have tails or manes. Some may have tails. The skins are chrome tanned. 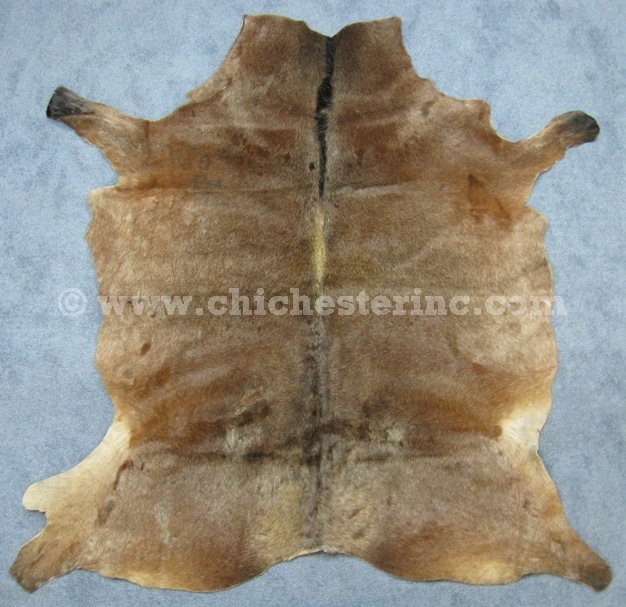 These hides make excellent rugs and are not readily available elsewhere in the U.S. The hair length varies from skin to skin. Racing horses tend to have shorter hair, sometimes as little as 0.5" to 0.75" long. Regular horses often have hair that is 1" to 1.25" long. If the hair length (short vs. long) is important to you, please let us know at the time of ordering. Our Gxx codes denote individual hides. If you would like to order a specific horse hide, please go to our Gallery to pick the exact one shown. * To convert to square meters, divided by 10.9.